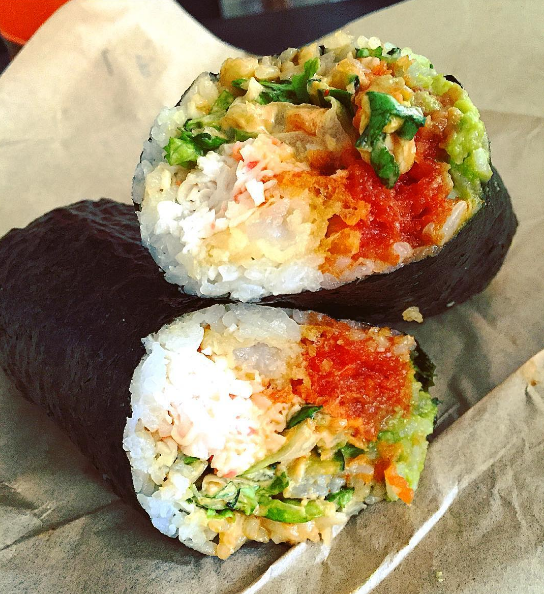 You shouldn't have to choose between sushi and burritos. What could possibly be better than indulging in high-quality junk food? Combining your favorite treats together, of course. These world-class food hybrids will have you feeling like Hannah Montana—you get the best of both worlds. 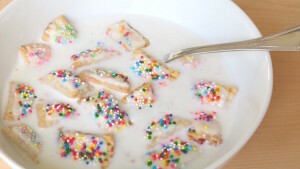 Cereal and pop tarts have both been part of a (sort-of) balanced breakfast for as long as I can remember. Why not combine the two together for a perfectly sweet start to the day? 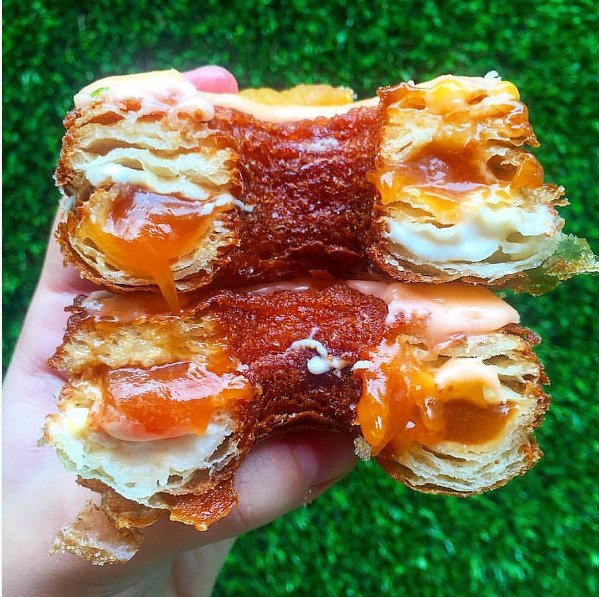 Few hybrid desserts have taken the world by storm like the cronut. Croissants are elegant pastries and donuts are grab-n-go desserts. Combine ’em together and you get something truly beautiful. 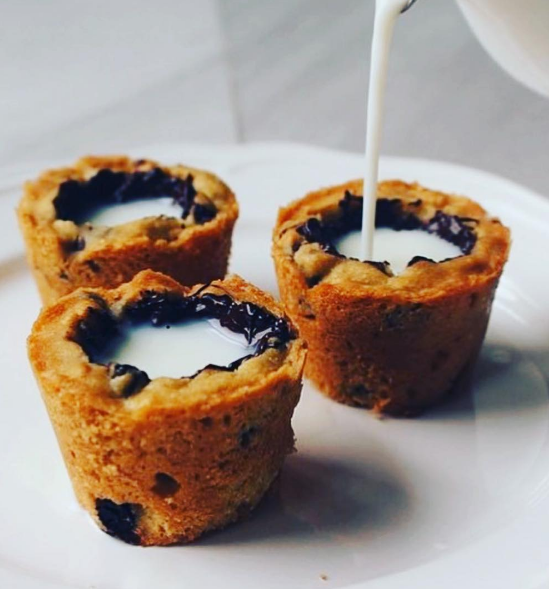 These are only kind of shots you’ll want to take after recovering from an eventful weekend, and you can make them at home yourself. 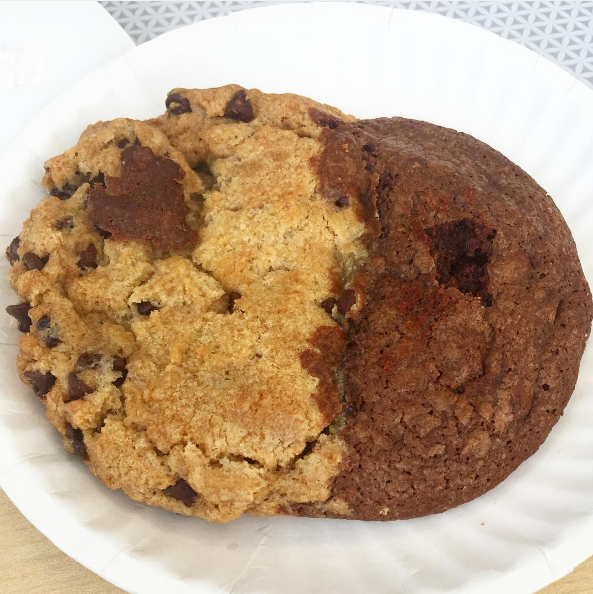 Ever had a serious craving for baked goods, but you couldn’t decide between brownies and cookies? Look no further than the marvelous brookie for help. Thought life couldn’t get any better than cheese-stuffed crust pizza? Think again. 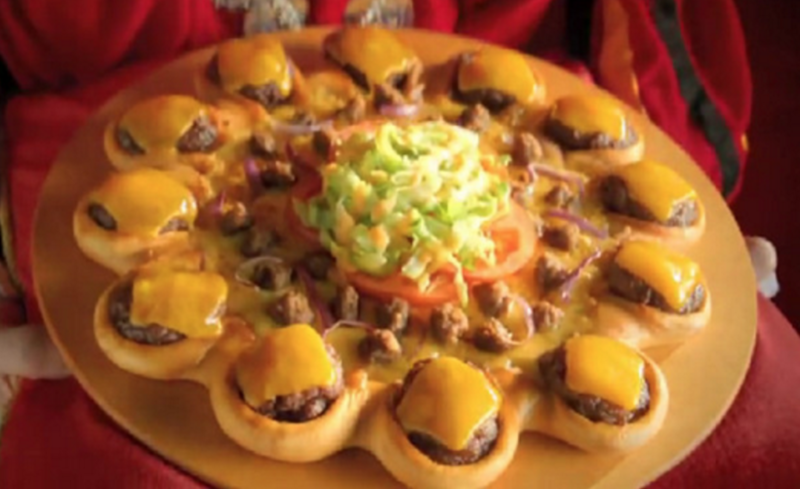 Pizza Hut Middle East offers a “Crown Crust Carnival Pizza” that features crusts stuffed with your choice of cheeseburger or chicken strips. What a time to be alive. As college students, we’re all very familiar with ramen. How do you make a poor student’s classic meal a little bit better? Shove a hamburger patty in there somewhere, obviously. 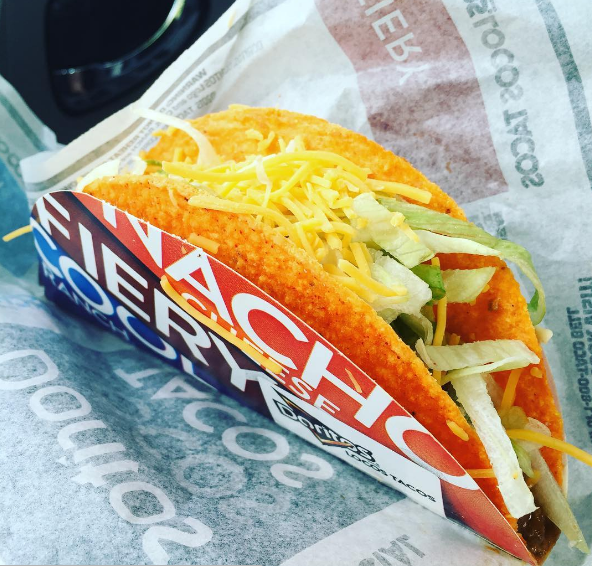 Before Taco Bell unleashed this bad boy, I’m sure many of us wondered to ourselves what was stopping hard taco shells from being Cool Ranch-flavored. The answer? Nothing. Absolutely nothing. 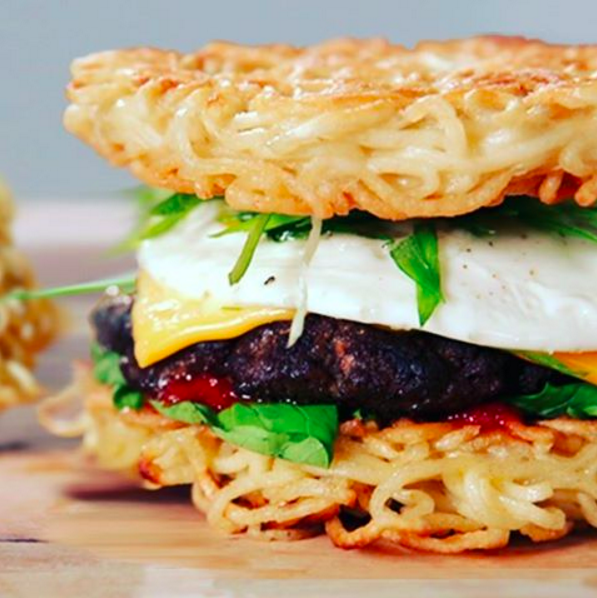 As we’ve learned from the ramen burger, apparently if you stick a meat patty between anything remotely resembling buns, it counts as a burger. 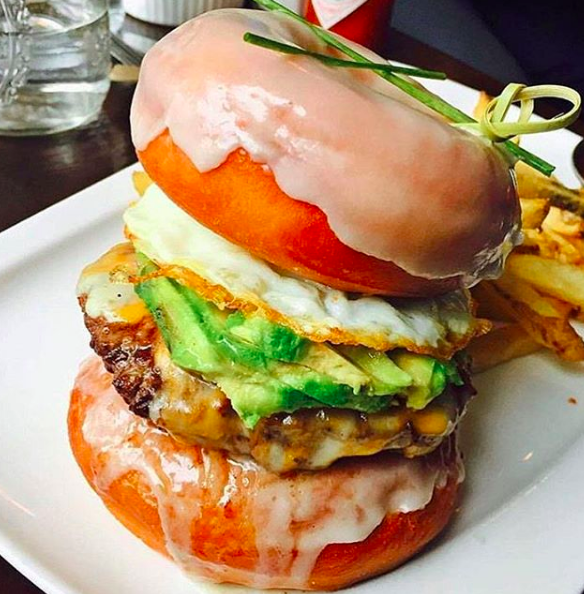 And thus, the donut burger was born. It’s yet another hybrid sandwich that involves swapping out the buns for something else delicious, but Kentucky Fried Chicken went for straight-up meat. 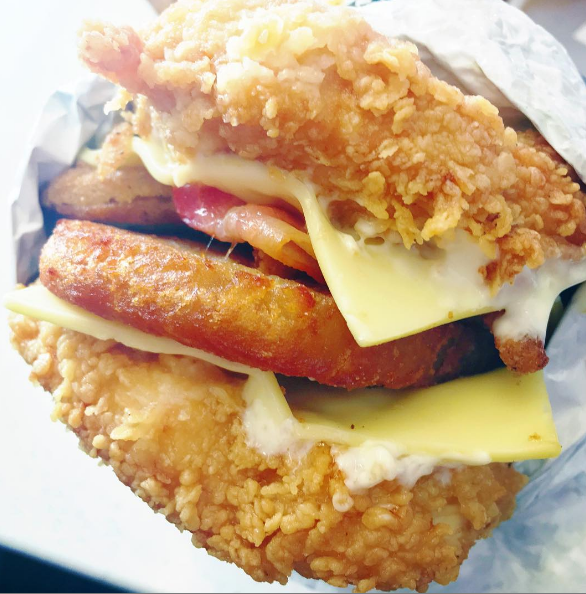 The Double Down sandwich from KFC features two pieces of fried chicken that serve as buns. 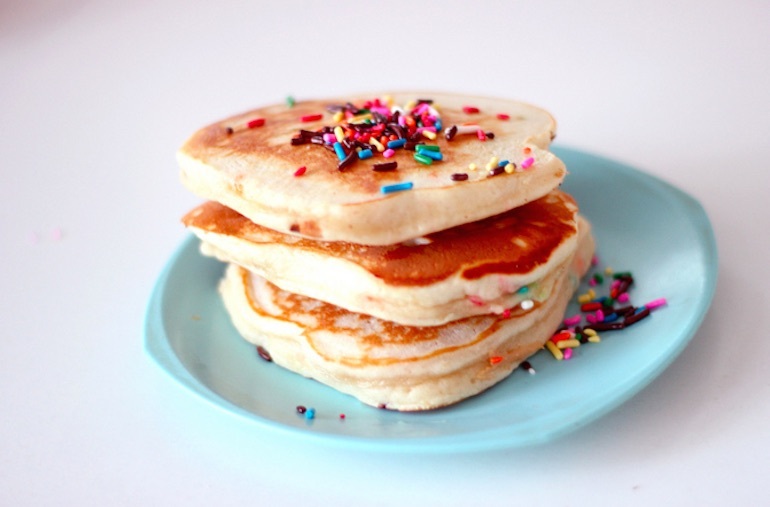 If it’s ever frustrated you that, despite their name, pancakes contain no actual cake, then this is most certainly the hybrid dish for you. Why not make your own? If you love Chipotle and sushi as much as I do, you realize the sushi burrito was only a logical next step in the evolution of rice dishes. Though the cuisines that this hybrid stems from seem vastly different, the combination itself is genius.